54,041 Fans attended Game #2 of the 1973 NLCS at Riverfront Stadium in Cincinnati. Todays starters were for New York; Jon Matlack (14-16 / 205 Ks / 3.20 ERA) going up against the Reds Don Gullett (18-8 / 153 Ks / 3.51 ERA). Gullett was second on the Reds staff in wins & strike outs. With the mighty Big Red Machine up one game to none, many thought the next home game for the Reds was to be in that years World Series. It was not to be, as the Mets had different plans. 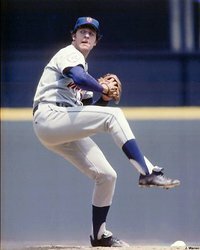 The 1973 Mets got to the post season on pitching. They had one of baseballs elite starting staff's & one of the best bullpens as well. In Game #2 it was all about the Mets pitching, all about Mr. Jon Matlack. Matlack put in one of the best pitching performances in Mets history, as he shut down the Big Red Machine, throwing a two hit shut out. He struck out nine Reds batters while walking three, He only allowed two base runners to get as far as second base, the whole game. Don Gullet pitched well himself, shutting down the Mets in the first three frames. In the top of the 4th inning, Rusty Staub connected for a HR putting New York up 1-0. 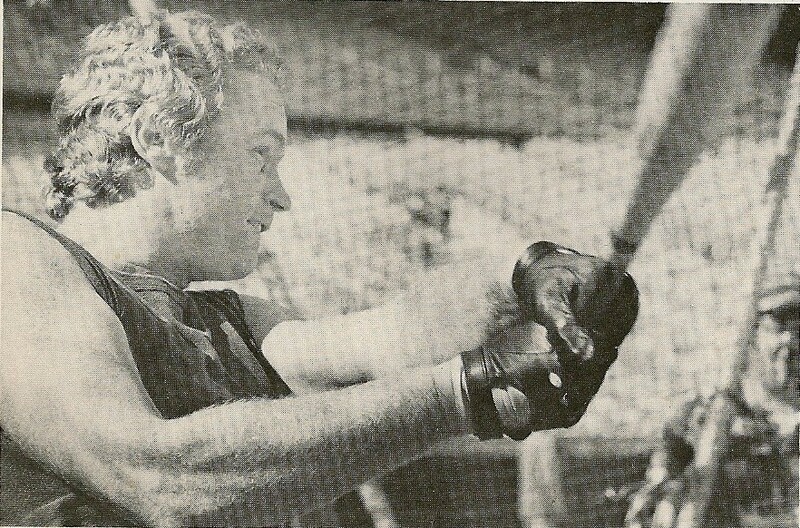 Staub was just getting hot & would go on to hit four HRS & drive in ten runs through the rest of the 1973 post season. In the home 5th, Matlack walked veteran Andy Kosco. Kosco had singled in the first inning & then would single again in the 7th accounting for both Reds hits. Matlack then struck out Dan Driessen & Cesar Geronimo. Geronimo was a victim to Matlack, striking out three times on the day. But he then walked short stop Darrel Chaney putting a runner in scoring position. Reds manager; Sparky Anderson wasted no time, seeing how tough Matlack was today, he knew he needed a run. He sent up pinch hitter Phil Gagliano, taking Gullett out of the game. Anderson was quick with a hook for his starting pitchers, earning the nickname "Captain Hook". He knew he had a solid bullpen who got regular work. Matlack struck out Gagliano as well ending the threat & the most trouble he'd be in all afternoon. 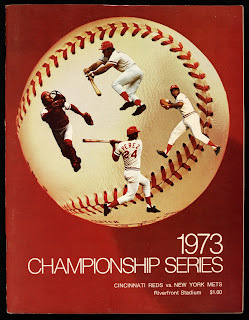 The Reds reliever; Clay Carroll (who had led the NL in saves in 1972 with 37) shut the Mets down over the next three innings as well. Carroll was 8-8 on the year with 14 saves & a 3.69 ERA. In the top of the 9th, Anderson brought in the lefty; Tom Hall (8-5 / 8 saves / 3.37 ERA) in to pitch. With one out, Felix Millan singled & Rusty Staub drew a walk. The late September, hot hitting Cleon Jones then singled to centerfield. Center fielder Cesar Geronimo, attempted to get Millan at home both he scored easily & both base runners advanced. Matlack & His Catcher Jerry Grote. Pedro Borbon who was saving a spectacular year (11-4 / 14 saves / 2.16 ERA) relieved Hall and was told to intentionally walk John Milner to load the bases. Mets catcher; Jerry Grote then singled home Staub & Jones, making it 4-0 New York. Center fielder Don Hahn & then singled but Milner was unable to score, as the bases were loaded once again. 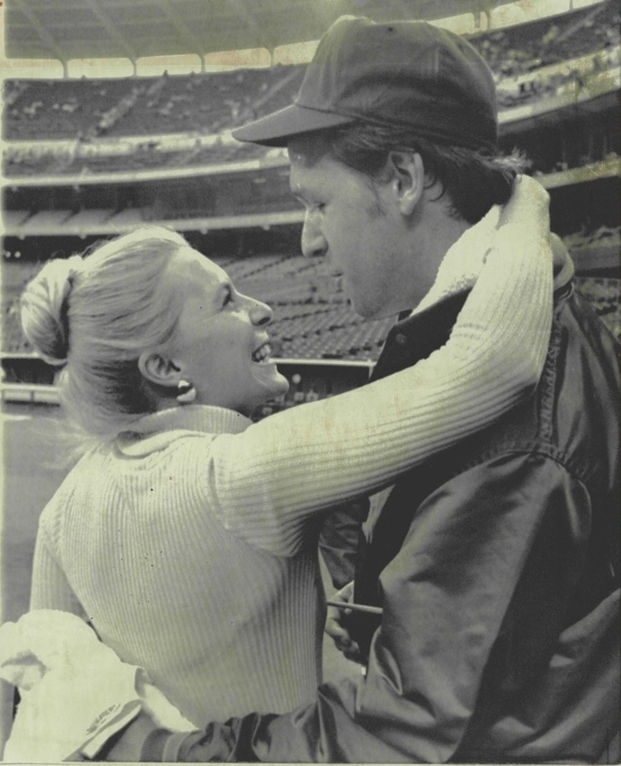 Bud Harrelson followed with a base hit, giving the Mets a commanding 5-0 lead. In the inning they sent ten men to the plate, scored four runs on five hits & two walks. Matlack retired the side in order in the bottom of the 9th, getting Joe Morgan & Tony Perez to fly out. He ended the game by striking out Johnny Bench. The Mets wrapped up a 5-0 victory & were headed back to Shea Stadium tied at one game apiece. Matlack's wife joined him on the field in celebration after the game. In the visiting locker room, the joyous Mets also celebrated Matlack’s great performance. The Mets light hitting short stop; Bud Harrelson joked to the press that the Reds looked like him hitting out there today. Those words would not sit well with the Reds & be used as bulletin board material. It set the stage for one of the most famous brawls in baseball history coming up in the next game. For now the Mets happily boarded a flight back to New York for Game #3.